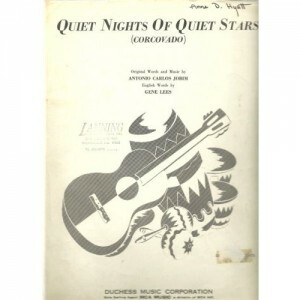 “Quiet Nights of Quiet Stars” was recorded on December 19, 1962 and released in 1962 on the album I Wanna Be Around. It was arranged by Marty Manning. “Quiet Nights of Quiet Stars” was recorded on April 8, 1964 and released in 2011 on Tony Bennett Live at the Sahara: From This Moment On, as part of the 2011 Complete Collection. It was arranged by Ralph Sharon.